Custom wraps keep it unique in the Antipodean playground of Queenstown, New Zealand. Queenstown, New Zealand is a on everyone's radar once December rolls around. The Southern Hemisphere summer is in full swing as winter rolls over the North and the QT locals and seasonal nomads rejoice. A trend that is common place in the line at Skyline is custom, personalized bikes, namely in the variety of stickers and little details. 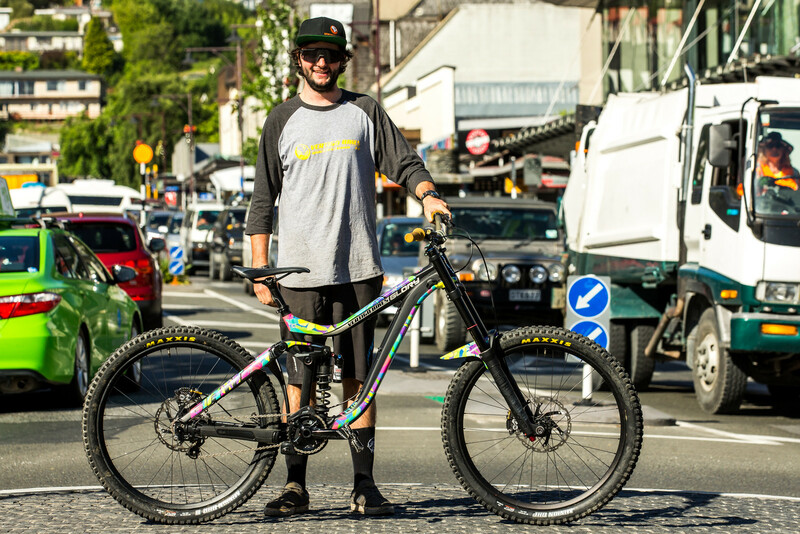 For the 2017 / 2018 summer, Vertigo Bikes rolled out some new wraps for a couple of their riders after some highly sought-after designs from the preceding summer. Joel Tunbridge is a staple up the hill, mostly known for sending it. He went through several frames two seasons back when he was astride a different brand. This year it's a Thunder Struck-kind of theme, if only for the fact that the lightning looks wicked. 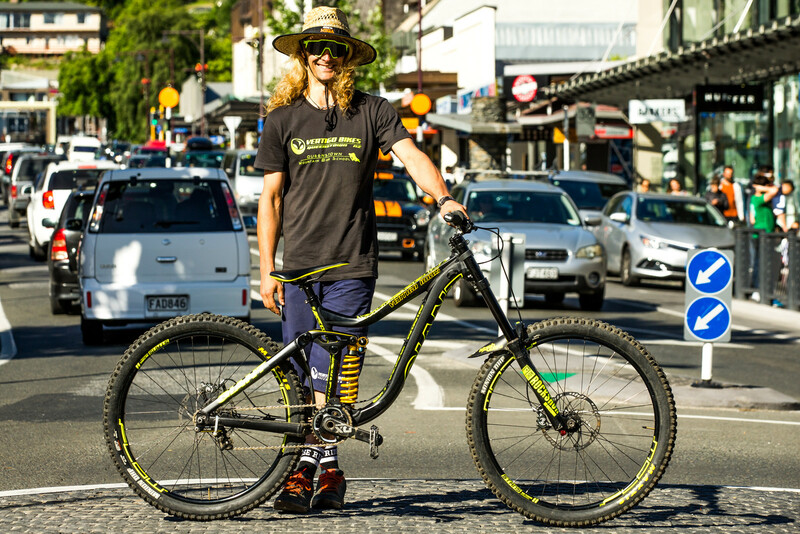 Andy Donnachie is one of the spanner men in the shop and has been bouncing between Whistler and Queenstown the past few seasons. His Hawaiian theme is an homage to a memorable stop-over in the Pacific paradise. We shot it in the heart of downtown, literally out of the front door of the shop, as Andy is still healing from a tumble. Pang is one of the co-owners of the shop and local legend. His inspiration for color came from his brakes and the pattern from Anka Martin's Do You Even Drift Bro Maori/Tribal graphics from his trail bike. A notable story about this set up, is that he got the Ohlins shock for $46 online, after bidding said amount (the shock had a $1 reserve bid). It is made for a Specialized, but a little light filing and elbow grease always does the trick! Wheels: Giant hubs and Sapim rims. What for tensioner if it's singlespeed? What suspension? It's a singlesp..